Snakes in Suits (2006) examines what happens when a psychopath doesn’t wind up in jail, but instead puts on a suit and gets a job. 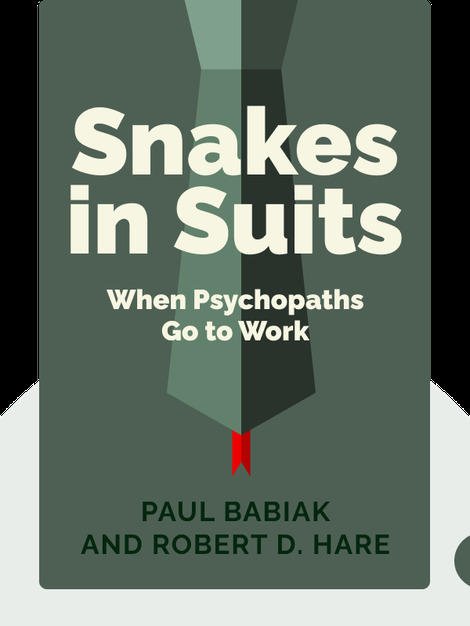 The book outlines the tactics these predators use, how they damage companies and how you can protect yourself. Paul Babiak, Ph.D, is an organizational psychologist who specializes in management development. His work has been featured in the New York Times and Harvard Business Review. 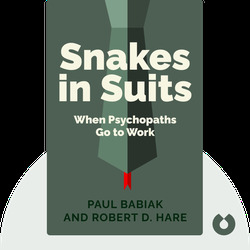 Robert D. Hare, Ph.D, is an emeritus psychology professor at the University of British Columbia and considered one of the world’s foremost experts on the phenomenon of psychopathy.